Exceeds Building Regs for bathrooms and toilets. Ideal within shower cubicles. 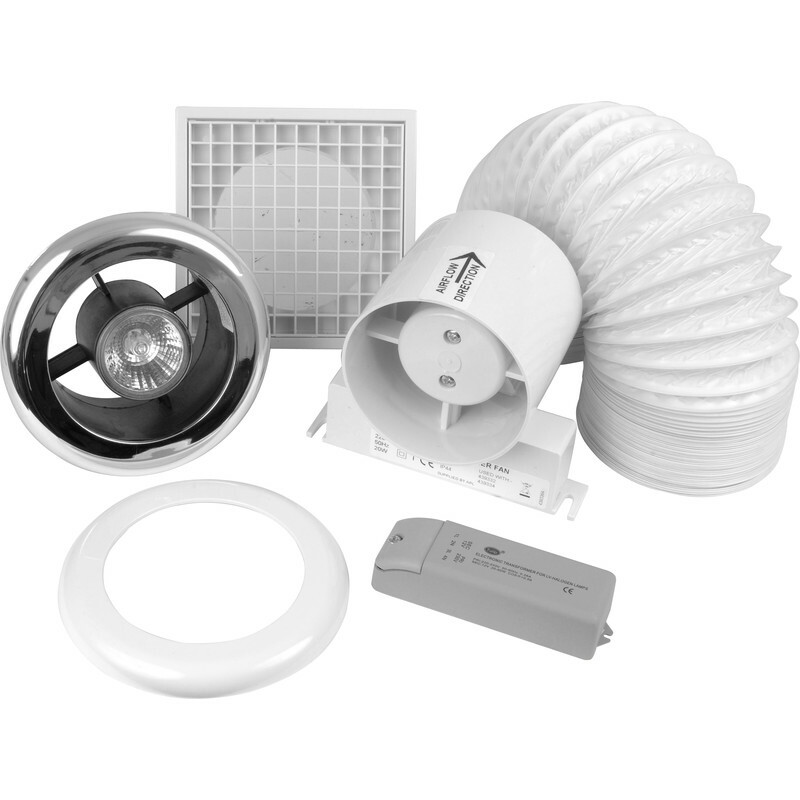 100mm Inline Shower Extractor Fan Kit with Light Timer is rated 3.7 out of 5 by 7. Rated 3 out of 5 by Fredthespark from Lighting Transformer DOA Generally OK except lighting transformer was dead on arrival. Rated 5 out of 5 by alby70 from Great product Great product! Good instructions and easy to fit. Searched online and this fan was the cheapest, wasn’t sure what the quality would be,but was surprised how good it was. Rated 3 out of 5 by Leeroy2201 from Faulty transformer Bought this twice and both times the transformer connections have been loose and ive had to return and exchange. Rated 4 out of 5 by Denesman from Good DIY fan This fan is good for the average DIY bathroom refit. I would have hoped that by now the halogen lamp would have been replaced with its LED equivelant as standard. Never the less a good product for the price.